The next CCHS meeting is on Friday, March 7, 2014, from 8:30-3:30 at the Wheat Ridge Rec Center, 4005 Kipling St., Wheat Ridge, CO 80033 or via Adobe Connect LiveStream. Anyone interested in school health is welcome to participate. Lunch will be provided. The agenda will focus on presentations and networking related to school health and supportive nutrition environments in schools. 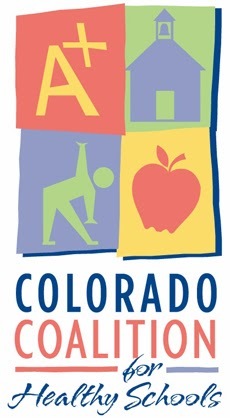 The Colorado Department of Education - Office of School Nutrition and a number of partners will be sharing updates and resources to support nutrition in schools. There will also be time for networking with others addressing school health. Register to attend in person or via live stream at this link by February 28, 2014. If you have already registered to attend in person, but would prefer the live stream option, please contact Pam Hitt at hitt_p@cde.state.co.us. If you have any corrections to the list serve, please use this link.